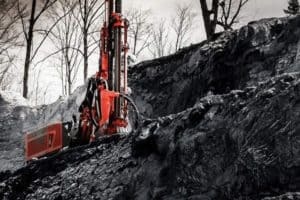 The new Commando DC130Ri is the latest addition to our surface drilling product line. This rubber tired compact size top hammer drill rig includes a large number of upgraded features that guarantee a versatile, highly productive machine combined with intelligence and top-rated mobility. The fully remote-controlled, hydraulic and self-propelled drilling unit, with 4-wheel carrier, is designed for drilling 22-45 mm holes. 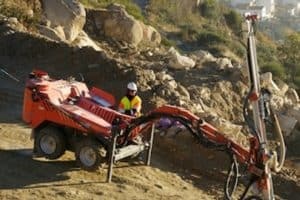 Modular design and practical layout of components, new efficient RD106 rock drill and a new intelligent control system with large, 7″ on-board touch screen, are the core features of the new machine. 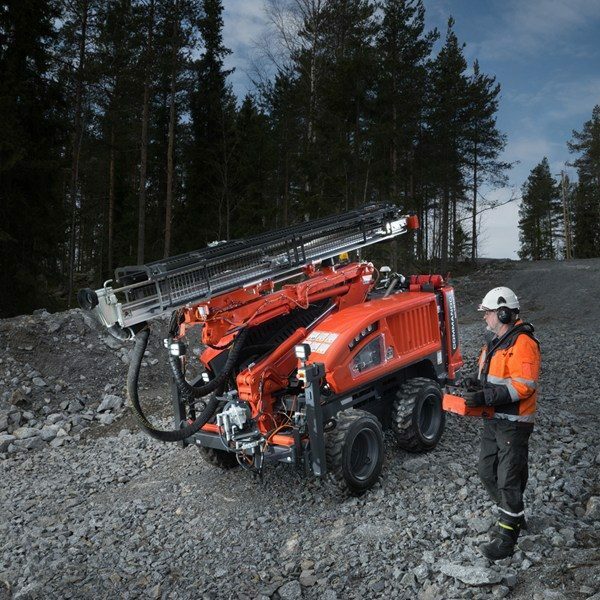 Performance is further enhanced with the machine’s large drilling coverage area, and the functionality to have roll-over for the feed, change drill steels on the rock drill, and the ability to adjust the drill rig to challenging environmental conditions. 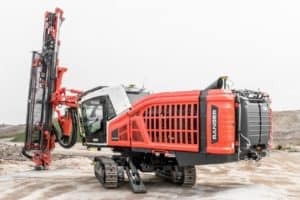 All this ensures that the Commando DC130Ri is a truly versatile drill rig that is easily adaptable to changing job sites, and different drilling applications. 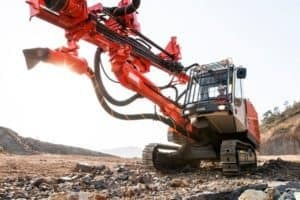 These include road construction, demolition works, secondary breaking, foundation drilling, trenching, shaft sinking as well as dimensional stone quarrying. The new intelligent control system of the Commando DC130Ri provides modern machine control features that until now have been found only on larger drill rigs. Intelligent engine control provides operating cost savings through lower fuel consumption by optimizing the engine power based on actual requirements. The advanced drilling control guarantees smooth drilling, and is gentle to drill steels. High performance is further enhanced by being able to increase percussion pressure while drilling without sacrificing rock tool life. Features adding to the versatility, user-friendliness and the safety of the machine are the practical remote controller with the optional Remote Screen Solution as well as efficient lights for the on-board display and working area.